Cambridge Research Biochemicals (CRB) was bought by Emily Humphrys and Alison White in February 2000 in a management buy-out from the specialty chemical company, Avecia, formerly part of Zeneca and ICI. The two women had met 10 years earlier, in 1990, while working at what was then ICI. They remain the two sole owners and executive directors of CRB. The company has since taken on a non-executive Chairman and a number of specialist advisors to increase the management input and explore new growth opportunities. Emily and Alison, both scientists, have made their careers in the commercial rather than the academic world. This means that, unusually for a modest-sized life science company, they bring with them the keen commercial drive and strong corporate values of quality, health and safety which are more typical of larger organisations. It also makes the company very flexible and open to ideas and partnerships. They summarise their company as ‘a women-owned business that is driven by a commitment to high standards, outstanding customer service and operational excellence and that believes in a flexible approach to the work/life balance’. Emily is responsible for the business development and commercial management of CRB. She joined the Billingham site of the then ICI as a radio chemist but after four years moved into the company’s sales operations and has remained in sales and marketing ever since. From 1998, she was responsible for the European sales of Avecia Biologics (a division of Zeneca, part of the former ICI). In 2000, and following the management buy-out of CRB, she took charge of the company’s global sales, managing its operations in the UK and USA. Emily, like Alison is from the north, from Middlesbrough, and has inherited some of her business zeal from her entrepreneur father. She is passionate about science, encouraging female business owners, the power of networking, and the North East. She is a member of the Entrepreneur’s Forum, the business networking Bridge Club, NEPIC (North East Process Industry Cluster) and CELs (Centre of Excellence for Life Sciences). A frequent guest speaker at events to promote bioscience businesses and their commercial opportunities, she is also a judge at the University of Durham’s Biology & Enterprise Degree show. Emily graduated from Manchester with a first degree in Chemistry in 1989. Alison is the longest-standing member of Cambridge Research Biochemicals, joining the company straight from university, in 1985, as a peptide chemist. She met Emily when, shortly after CRB was acquired by ICI, she moved to Billingham as a radio chemist. Today, Alison manages all of the production and operation staff, the internal organisation and the smooth running of the ‘CRB ship’. She is passionate about standards, quality, cleanliness, accuracy and open communications between team members. She is also responsible for CRB’s Quality Management system and ensuring the company operates to the highest levels of Safety, Health and Environment (SHE) guidelines. Alison graduated from Sheffield, her home town, with a first degree in Applied Science in 1985. Laurent was born in the North of France near Boulogne. He graduated from the University of Lille where he studied chemistry and gained His PhD in 2005 as an organic chemist. He joined CRB in 2007 following 2 years as a postdoctoral fellow at the University of Manchester developing peptide hydrogels. As the market was moving towards more challenging tArgets, he was quickly appointed Peptide Core Technology Manager. For 5 years, he was involved in a pan-European research Project (FP7) conducted by a consortium ‘BIOSCENT’ of regenerative medicine and tissue engineering experts, which aimed to develop ‘BIOactive highly porous and injectable SCaffolds controlling stem cell recruitment, Proliferation and differentiation and enabling angiogenesis for Cardiovascular ENgineered Tissues’. Laurent heads the peptide synthesis team and Provides training and technical support. He has extensive experience with peptide synthetic modifications (post- translational modifications, cyclisation, labelling) and a genuine interest in peptide research. In 2012, he joined the Protein and Peptide Science Group Committee, an interest group of the RSC Promoting and supporting peptide science in the UK. Steven received His PhD in Bioorganic Fluorine Chemistry at the University of St. Andrews, where he worked with Professor David O’Hagan on the biosynthesis of novel fluorinated natural Products. After His PhD he carried out postdoctoral studies on the development of new peptide based antibiotics with Professor John C. Vederas FRS at the University of Alberta, Canada. He returned to the UK (Durham University) in 2008 as a Ramsay Memorial Fellow and he is currently an Associate Professor of Chemical-Biology and Director of the Centre for Global Infectious Diseases in the Chemistry Department. His research interests are focused on the development of new peptide- and peptoid-based therapeutics for the treatment of infectious diseases and in the design of chemical tools to aid in the Validation of new drug tArgets. 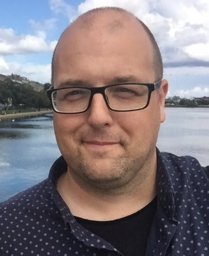 Steven is currently the UK representative on the European Peptide Society council, he is a member of the editor board for Molecules and a panel member for both the EPSRC and the BBSRC funding councils. He has raised over £12M in research funding and he has published more than 65 papers in the areas of peptide chemistry and chemical-biology. Peter has worked at the forefront of Fmoc solid phase peptide synthesis since gaining his PhD in 1985 at the University of Exeter. At LKB Biochrom he helped develop the first fully automated, continuous flow peptide synthesiser and later, at Merck, he has been instrumental in the development of the Novabiochem peptide and combinatorial reagent catalogue. As Novabiochem’s R&D Manager, he has worked on some of the principle enabling technologies in the field of Fmoc chemistry. 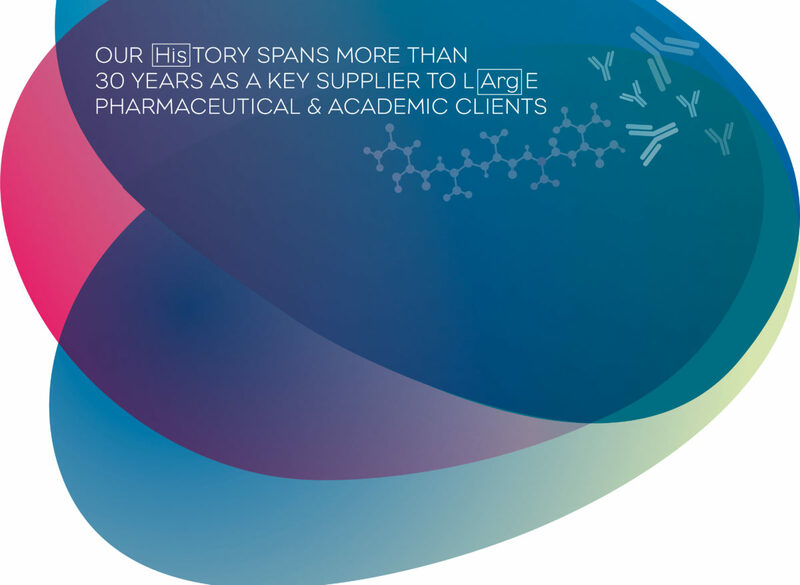 He has pioneered the use of derivatives for the production of long and complex peptides and is responsible for (Merck Millipore) Novabiochem’s worldwide technical marketing and support which gives him a wealth of experience in solving synthetic problems. Peter has written over 60 papers in solid phase peptide and organic synthesis, is a regular speaker at major conferences in the field and has co-edited the seminal guide, ‘Fmoc solid phase peptide synthesis – a practical approach’, which is used in laboratories worldwide. He became an advisor to CRB in 2007. Steven was Chairman for CRB for five years between 2006 and 2011 whilst he was CEO of Plethora Solutions plc, a company which develops and markets products for the treatment of urological disorders. Prior to this he gained considerable experience as a venture capitalist as director of the Gilde Biotechnology and Nutrition Fund, a pan-European venture capital fund that invested in early-stage companies. A biologist by training, Steven has >25 years’ experience in the pharmaceutical and life sciences sector, in research and development as well as commercial and general management roles. Prior to Plethora, he was CEO of UK-quoted biopharmaceutical company, KS Biomedix plc, until its acquisition by Xenova Group plc. Earlier in his career, he worked for Beecham Pharmaceuticals (GSK), Whatman, Chiroscience, Celsis and Active Biotech. Steven has also helped to establish and finance a number of small life science businesses in a non-executive role. He took on CRB’s Non-Executive Chairman role in 2006.